Triple-threat Ben Affleck sinks back into the ‘writing-directing-acting’ chair for Live By Night, the fourth flick in his somewhat impressive career behind the lens. Back in 2007, Mr. Affleck surprised audiences when he stepped on the other side of the camera for Gone Baby Gone, an adaptation of Dennis Lehane’s novel of the same name, his brother Casey taking the lead and the film going on to receive widespread acclaim. 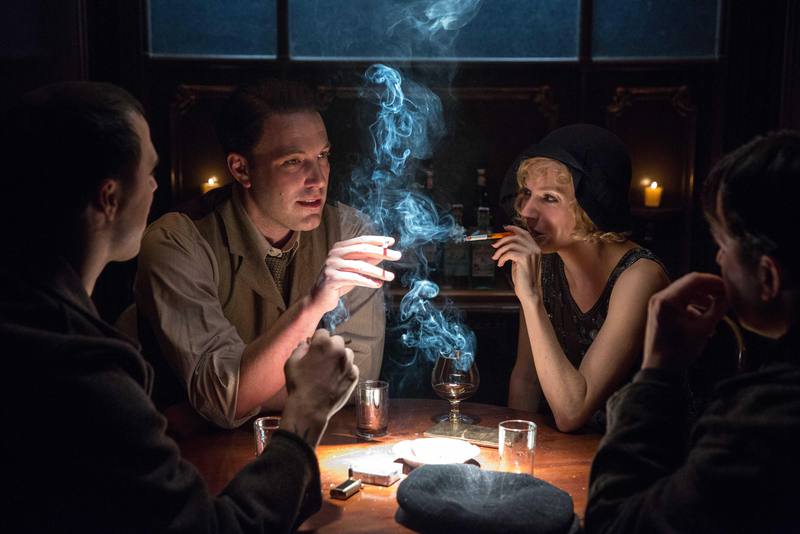 Now, after the critical and commercial successes of both The Town (2010) and Argo (2012), the latter going on to nab the Academy Award for Best Picture in 2013, Affleck returns to Lehane’s work (less than a decade later) as an accomplished filmmaker with his passion project, Live By Night, an extravagant period piece set in the 1920s/ early 30s, that sees the square jawed 44-year-old pay tribute to the pulpy gangster genre with a combustible mix of Tommy guns, fedoras, femme fatales, mob bosses and career criminals. Set in Prohibition-era Boston, Ben Affleck plays World War I veteran Joe Coughlin, an honest man who turns to a life of small-time crime after returning stateside. Secretly fooling around with the steamy Emma Gould (Sienna Miller), the mistress of notorious Irish gangster Albert White (Robert Glenister), Joe finds himself deeply imbedded in hoodlum life, despite warnings from his father, Police Deputy Superintendent Thomas Coughlin (Brendan Gleeson). After a heist goes awry, Joe is betrayed by his lover and beaten to a bloody pulp, saved by his dad just minutes before he is killed. Following a three-year stint in prison, the Irish-Catholic is eventually recruited by Italian Mafia boss Maso Pescatore (Remo Girone) and sent to Ybor City in sun-drenched Tampa, Florida, to clean up Pescatore’s shady rum empire, which was being crippled by his Irish rival, Albert White. Upon arrival, Coughlin reunites with his loyal right-hand man Dion Bartolo (Chris Messina) — who guides Joe around the Sunshine State — the pair immediately rushing to meet the Sheriff, Irving Figgis (Chris Cooper), the lawman willing to turn a blind eye to all their slippery dealings if the crooks keep casualties to a minimum. Joe eventually falls in love with dark-skinned immigrant Graciela (Zoe Saldana), the sister of a local businessman whose family conveniently controls the molasses coming out of Cuba. As Coughlin plots his revenge against those who wronged him, complications arise by way of the Ku Klux Klan, religious radical Loretta Figgis (Elle Fanning) and other spiteful goons, Joe ultimately learning that vengeance comes at a price. On paper, it sounds as though Live By Night could have all the hallmarks of a sprawling James Cagney-type epic, one where our romanticized anti-hero kills, steals and swaggers all the way to the top. It saddens me then, to report that the film is frustratingly unfocused, the narrative playing out like a series of mini vignettes that never really develop, each veering off in a completely different direction. We look at Coughlin’s rise to power in Boston, his rum operation in Tampa, his relationship with two women (one whom he eventually marries) and his involvement in the construction of a massive casino in Sarasota — seriously, there’s enough material here for about half a dozen movies, let alone one! As a result, the narrative never finds its hook, the film eager to comment on desire, loyalty, ideals and power, winding up a little lost along the way. With filmmaker Affleck clearly at the mercy of the movie’s 128-minute run time, Dennis Lehane’s 400-page paperback (the middle book in a trilogy about Joe Coughlin) would’ve almost certainly worked better as lavish television series à la Boardwalk Empire (2010), TV’s episodic nature allowing Affleck to preserve the bulk of Lehane’s writing without rushing it. Even so, there’s a uniqueness to Live By Night that’s chiefly due to its balmy Florida setting. While a majority of other gangster flicks take place in din, claustrophobic urban locales — New York, New Jersey and Chicago for instance — Live By Night shifts the action away from the concrete jungle and into to the bold, colorful backdrop of U.S’ southernmost state. Here, the unpaved streets of a young Ybor City are brought to life by the stupendous work of cinematographer Robert Richardson, Inglourious Basterds (2009), who captures the sunlit region’s heat and humidity, while the sleek period costumes by Jacqueline West, The Revenant (2015), and the authentic production design by Jess Gonchor, No Country for Old Men (2007), ensure that Affleck’s noirish world is, at least, gorgeous to look at. Unfortunately, Mr. Affleck is the weakest actor in the ensemble piece, playing it too cool, calm and collected as the central character (and narrator) Joe Coughlin, a guy who’s fed up with authority and just wants to live life by his own terms. Fun fact: Joe was initially set to be played by Leonardo DiCaprio before he eventually dropped out, the Scorsese regular remaining on board as a producer. Apart from Ben, everyone else has brought his or her A-game. The sultry Sienna Miller, American Sniper (2014), is terrific as Irish minx Emma Gould, the 35-year-old admitting to having struggled with her character’s dialect, while Chris Cooper, American Beauty (1999), is great as Irving Figgis, the seasoned actor balancing the God-fearing sheriff’s torn and tangled head space. The real stand out, though, is Elle Fanning, Maleficent (2014), who portrays Irving’s naïve daughter Loretta, an aspiring actress who moves to Hollywood to become a star. Corrupted by heroin and prostitution, Loretta returns to Tampa a reformed sinner, Fanning stealing the show as she delivers a number of evangelical monologues (dressed as a white woman of God) in an effort to rid the town of its sinful acts (alcoholism and gambling); it’s just a shame that this burly performance isn’t given room to breathe. Elsewhere, Matthew Maher, Gone Baby Gone (2007), is crazy-good as Irving’s redneck brother-in-law R.D. Pruitt, a member of the KKK who bedevils Coughlin’s affairs in Tampa, whilst Chris Messina, Vicky Cristina Barcelona (2008), exhibits a fair amount of swank and flair as Joe’s most trusted partner and friend, fellow felon Dion Bartolo. Brendan Gleeson, Calvary (2014), is completely wasted as Thomas Coughlin, Joe’s father and distinguished police captain — with the pair’s conflicting vocations never explored — while the alluring Zoe Saldana, Guardians of the Galaxy (2014), isn’t given time to grow as Graciela, a strong woman who finds herself at the center of an illegal liquor conglomerate in Florida. 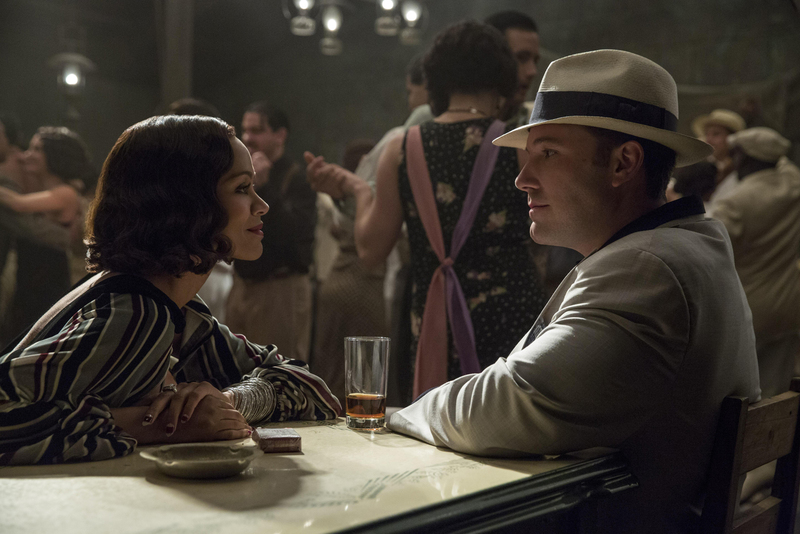 A better than average genre flick, Live By Night isn’t necessarily a ‘bad’ film as there’s plenty to enjoy amongst the shoot-outs, double-crossings and criminal squabbles; it’s just slightly disappointing given Ben Affleck’s excellent streak as a filmmaker. Clearly the weakest entry in the Affleck quartet, one has to wonder whether 2016 has taken a toll on the guy, what, with the pressures of playing the Caped Crusader, developing The Batman movie and his much publicized divorce from wife Jennifer Garner. 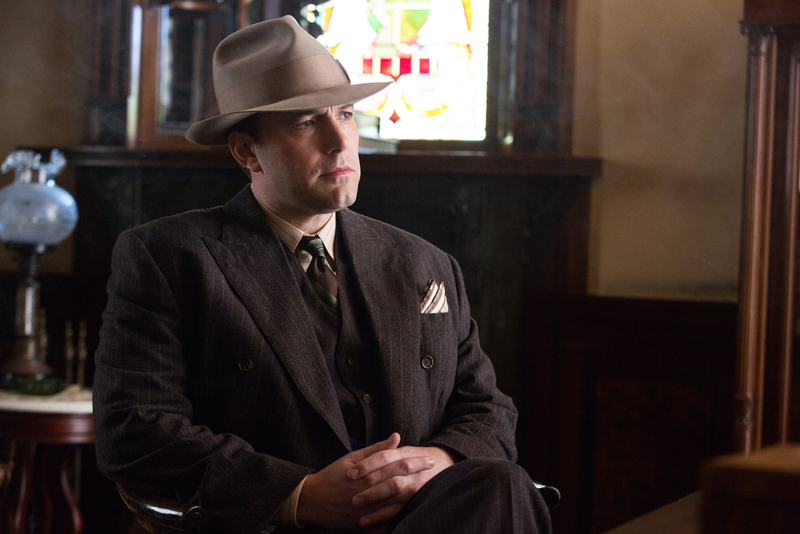 Maybe the timing wasn’t right for Live By Night, who knows, either way, stepping-down as director from The Batman was probably the best move for Ben right about now. Let’s just hope that after some much needed R&R, he’s able to bounce back.